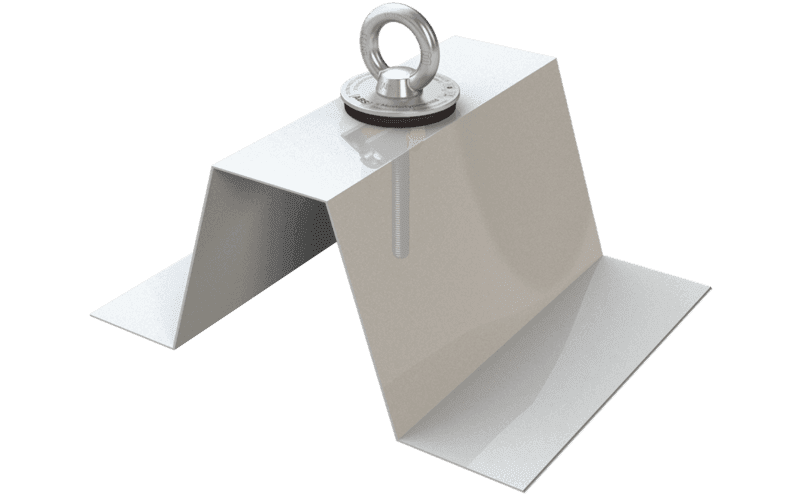 You can use this stainless steel anchor on trapezoidal sheeting (positive or negative) either as an anchorage point or for attaching a safety net. The special toggle bolt included in the package comes with its own integrated seal. Our stainless steel ABS-Lock VI anchorage point, which is installed using a toggle bolt, offers additional functionality: Simply use this anchorage device to hook up and secure your safety net. This system is suitable for sandwich and trapezoidal sheeting (positive/negative). Your steel subsurface only needs to be 0.75 mm thick to be able to install this device. Aluminium surfaces should be at least 2.00 mm thick. The toggle bolt includes an integrated seal. Our ABS-Lock VI can be used as an anchorage point to secure 1 individual working at heights. It can be either installed on the floor or in the ceiling.